From IMDB: Bachelor and all round slob, Buck, babysits his brother’s rebellious teenage daughter and her cute younger brother and sister. Buck Russell: I don’t think I want to know a six-year-old who isn’t a dreamer, or a sillyheart. And I sure don’t want to know one who takes their student career seriously. I don’t have a college degree. I don’t even have a job. But I know a good kid when I see one. Because they’re ALL good kids, until dried-out, brain-dead skags like you drag them down and convince them they’re no good. You so much as scowl at my niece, or any other kid in this school, and I hear about it, and I’m coming looking for you! Buck Russell: Take this quarter, go downtown, and have a rat gnaw that thing off your face! Good day to you, madam. A great feel good movie, not too deep, but with a nice message. 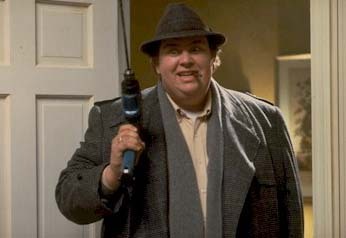 Go and watch it and see some great dialogue between John Candy and his co-stars like Macaulay Culkin. 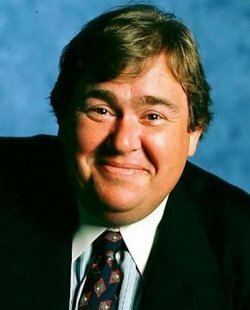 John Candy from all accounts a wonderful man, gone way too soon.